Electronic Agreement. This Agreement is an electronic contract that sets out the legally binding terms of your use of the Website and the Service. This Agreement may be modified by OlympiadSuccess.com from time to time, such modifications to be effective upon posting by OlympiadSuccess.com on the Website. By accessing and/or using the Website or becoming a Member, you accept this Agreement and agree to the terms, conditions and notices contained or referenced herein. 2. Membership and Subscription; Pricing. You may become a free Member of the Service at no cost. As a free Member, you may have the ability to participate in some, but not all, of the features and services available within the Service. In order to access additional features and services, including the ability to access practice questions, tele-seminars, expert access and other services, you will be required to become a paying subscriber to the Service. Please note that the subscription policies that are disclosed to you in subscribing to the service are deemed part of this Agreement. This Agreement will remain in full force and effect while you use the Website and/or Service. You may terminate your membership and/or subscription at any time by logging onto the Website with your username and password, clicking the "My Account" tab at the top of the homepage, and following the prompts to cancel. Alternatively, you may terminate your membership and/or subscription by contacting us at [email protected] If you cancel your membership and/or subscription from OlympiadSuccess.com, then in that event you will not be entitled for any refund in case of such cancellation/termination and further to help OlympiadSuccess.com analyze and improve the Service, you may be asked to provide a reason for your resignation/cancellation. OlympiadSuccess.com may terminate your membership and/or subscription for any reason by sending notice to you at the email address provided by you in your application for membership, or such other email address as you may later provide to OlympiadSuccess.com. If OlympiadSuccess.com terminates your membership because of any breach attributable to you, then you will not be entitled to any refund of unused subscription fees. All decisions regarding the termination of accounts shall be at the sole discretion of OlympiadSuccess.com. OlympiadSuccess.com is not bound to provide you any notice prior to terminating your membership and/or subscription. Even after your membership or subscription is terminated, this Agreement will remain in effect. All terms that by their nature may survive termination of this Agreement shall be deemed to survive such termination. 4. Age of the Member. The Member shall be required to certify that he/she is 18 (eighteen) years of age or has the consent of his/her parent or legal guardian. The Website is for the personal use of individual Members on subscription only and may not be used in connection with any commercial endeavor as organizations, companies, and/or businesses may not become Members and should not use the Service or the Website for any purpose. Illegal and/or unauthorized uses of the Website include, but are not limited to, collecting usernames and/or email addresses of members by electronic or other means for the purpose of sending unsolicited email, unauthorized framing of or linking to the Website, sharing or disclosing your username or password to any third party or permitting any third party to access your account, attempting to impersonate another user or person, use of the Website in any fraudulent or misleading manner, any automated use of the system, such as scraping the Website, automated scripts, spiders, robots, crawlers, data mining tools or the like, interfering with, disrupting, or creating an undue burden on the Website or the networks or services connected to the Website, and using the Website in a manner inconsistent with any and all applicable laws and regulations. Illegal and/or unauthorized use of the Website may be investigated, and appropriate legal action may be taken, including without limitation, civil, criminal, and injunction redress. Use of the Website and Service is with the permission of OlympiadSuccess.com, which may be revoked at any time, for any reason, in OlympiadSuccess.com’s sole discretion. You are responsible for maintaining the confidentiality of the username and password that you designate during the registration process, and you shall be fully responsible for all activities that occur under your username and password. You agree to (a) immediately notify OlympiadSuccess.com of any unauthorized use of your username or password or any other breach of security, and (b) ensure that you exit from your account at the end of each session. OlympiadSuccess.com will not be liable for any loss or damage arising from your failure to comply with this provision. You should use particular caution when accessing your account from a public or shared computer so that others may not be able to view or record your password or other personal information. If you share your computer with others, you may wish to consider disabling your auto-sign in feature if you have it linked to your OlympiadSuccess.com account. OlympiadSuccess.com shall not be liable for any or all damages of whatsoever nature, including but not limited to direct, indirect, general, special, compensatory, consequential, and/or incidental, arising out of or relating to the test results or test scores. OlympiadSuccess.com gives no guaranty or promise regarding the Website or Service. 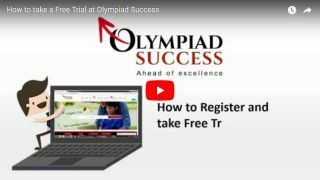 OlympiadSuccess.com does not guarantee that using this Website or Service will lead to increase in any scores, or achieve any other results. Nothing contained in this Website or in any written or oral communications from OlympiadSuccess.com or its employees or agents shall be construed to make any promise, covenant, warranty, or guaranty, all of which are explicitly disclaimed hereby, contrary to the statements and disclaimers contained in this paragraph. The content and functionality on the Website and the services provided by employees of the Website are offered "as is" without warranty of any kind, either express or implied, including, without limitation, implied warranties of merchantability, fitness for a particular purpose, title and non-infringement. OlympiadSuccess.com makes no warranties, express or implied, as to the ownership, accuracy, completeness or adequacy of the Website content or that the functionality of the Website will be uninterrupted or error-free or free from virus or third party attack. You hereby acknowledge that use of this Website and the Service is at your sole risk. UNDER NO CIRCUMSTANCES SHALL OLYMPIADSUCCESS.COM, ITS OFFICERS, OWNERS, EMPLOYEES OR AGENTS AND THEIR RESPECTIVE HEIRS, SUCCESSORS AND ASSIGNS WILL BE HELD LIABLE FOR ANY DAMAGES, INCLUDING DIRECT, INCIDENTAL, PUNITIVE, SPECIAL, CONSEQUENTIAL OR EXEMPLARY DAMAGES THAT DIRECTLY OR INDIRECTLY RESULT FROM USE OF, OR INABILITY TO USE, THE WEBSITE OR SERVICE OR THE INFORMATION CONTAINED THEREIN, INCLUDING WITHOUT LIMITATION FOR VIRUSES ALLEGED TO HAVE BEEN OBTAINED FROM THE WEBSITE, EVEN IF OLYMPIADSUCCESS.COM HAS BEEN NOTIFIED OF THE POSSIBILITY OF SUCH DAMAGES OR LOSSES AND REGARDLESS OF THE THEORY OF LIABILITY. TO THE GREATEST EXTENT PERMITTED BY LAW, YOU AGREE THAT IN NO EVENT WILL OLYMPIADSUCCESS.COM HAVE ANY LIABILITY, CONTINGENT OR OTHERWISE, FOR ANY INDIRECT, SPECIAL, INCIDENTAL, CONSEQUENTIAL, OR EXEMPLARY DAMAGES IN ANY WAY ARISING OUT OF OR RELATING TO THE AGREEMENT, WEBSITE OR THE SERVICE, INCLUDING, BUT NOT LIMITED TO LOST PROFITS, LOST DATA, LOSS OF GOODWILL, COPYRIGHT INFRINGEMENT, WORK STOPPAGE, EQUIPMENT FAILURE OR MALFUNCTION, PERSONAL INJURY, PROPERTY DAMAGE, OR ANY OTHER DAMAGES OR LOSSES, EVEN IF OLYMPIADSUCCESS.COM HAS BEEN ADVISED OF THE POSSIBILITY THEREOF. In the event that any of the foregoing limitations are deemed to be unenforceable, to the greatest extent permitted by law, you agree that the entire aggregate liability of OlympiadSuccess.com and sole remedy available to any Member in any case in any way arising out of or relating to the Agreement, Website or the Service shall be limited to monetary damages that in the aggregate may not exceed the greater of INR 5,000 or the sum paid by website user/service recipient whichever is higher during the six months prior to notice to OlympiadSuccess.com of the dispute for which the remedy is sought. (a) Proprietary Rights. OlympiadSuccess.com retains all proprietary rights in the Website and the Service. The Website contains the copyrighted material, trademarks, and other proprietary information of OlympiadSuccess.com, and its licensors. Except where we have given your express written permission, you may not copy, modify, publish, transmit, distribute, perform, display, or sell any such proprietary information. All content on OlympiadSuccess.com is proprietary. The Content (as defined below) is copyrighted material of OlympiadSuccess.com and for OlympiadSuccess.com Members’ use only. Distribution of Content to others is strictly prohibited. You agree that OlympiadSuccess.com would be irreparably harmed by any violation or threatened violation of this section and that, therefore, OlympiadSuccess.com shall be entitled to an injunction prohibiting you or your agent from any violation or threatened violation of this section, without posting bond, in addition to any other right or remedy it may have. To develop materials used in these practice questions, the employees of OlympiadSuccess.com relied on readily available public information and their own creative thinking. Information on various tests/exams presented on www.OlympiadSuccess.com is collected, maintained, and provided for the convenience of the website visitor. While every effort is made to keep such information accurate and up-to-date, the OlympiadSuccess.com does not certify the authenticity of information that originates from third parties and/or which is already under the knowledge or domain of OlympiadSuccess.com. Information presented on this site is believed to be accurate but not warranted. Most of this information is taken from public domain and/or from exam organizer’s official website. While OlympiadSuccess.com may periodically update or correct information presented on this website, such information may include typographical errors and/or technical inaccuracies and/or omissions. OlympiadSuccess.com makes no representation or warranty as to the accuracy of any information at this website and expressly disclaims any obligation to update such information. OlympiadSuccess.com also reserves the right to make additions, deletions or modifications to any information at any time and from time to time without any prior notice. Visitors to the website are advised to check with organizer and/or school for updated information. Questions and materials provided by OlympiadSuccess.com can be used as supplement to the official reference materials supplied by the organizer of the various Olympiads examinations or tests, but can’t be used as substitute for the same. For all the candidates, it is must to go through the reference material, supplied by the organizer of the exam they are preparing for. The Publishers of these tests have not approved the material in these practice questions. The concepts and activities in these practice questions are based upon public knowledge and publicly available information and are in no way identical to questions and activities on the actual tests. OlympiadSuccess.com is not affiliated with nor related to the respective Publishers of these tests. The Publishers do not sponsor or endorse any OlympiadSuccess.com product, nor have OlympiadSuccess.com products or services been reviewed, certified, or approved by the Publishers. Trademarks referring to specific test providers are used by OlympiadSuccess.com for nominative purposes only and such trademarks are solely the property of their respective owners. You understands & acknowledge that OlympiadSuccess.com contains information, software, photos, video, text, graphics, music, sounds, questions, creative suggestions, messages, comments, feedback, ideas, practice test questions, drawings, articles and other materials (collectively, "Content") that are protected by copyrights, patents, trademarks, trade secrets and/or other proprietary rights, and that these rights are valid and protected in all forms, media and technologies existing now or hereafter developed. All Content is copyrighted under the Indian copyright laws (and, if applicable, similar foreign laws), and OlympiadSuccess.com owns a copyright in the selection, coordination, arrangement and enhancement of such Content. All trademarks appearing on this Website are trademarks of their respective owners. You may not modify, publish, transmit, distribute, perform, participate in the transfer or sale, create derivative works of, or in any way exploit, any of the Content, in whole or in part. When Content is downloaded to your computer, you do not obtain any ownership interest in such Content. Modification of the Content or use of the Content for any other purpose, including, but not limited to, use of any Content in printed form or on any other website or networked computer environment is strictly prohibited unless you receive our prior written consent. OlympiadSuccess.com provides assistance and guidance through its customer care representatives and/or well trained professionals. When communicating with our customer care representatives, you may not be abusive, obscene, profane, offensive, sexist, threatening, harassing, racially offensive, or otherwise behave inappropriately. If we feel that your behavior towards any of our customer care representatives or other employees is at any time threatening or offensive, we reserve the right to immediately terminate your membership and start legal recourse, in such an event you will not be entitled to any refund of unused subscription fees. (a) General. OlympiadSuccess.com bills you through an online account (your "Billing Account") for use of the Service. You agree to pay OlympiadSuccess.com all charges at the prices then in effect for any use of the Service by you or other persons (including your agents) using your Billing Account, and you authorize OlympiadSuccess.com to charge your chosen payment provider (your "Payment Method") for the Service. You agree to make payment using that selected Payment Method. OlympiadSuccess.com reserves the right to correct any errors or mistakes that it makes even if it has already requested or received payment. (b) Current Information Required. YOU MUST PROVIDE CURRENT, COMPLETE AND ACCURATE INFORMATION FOR YOUR BILLING ACCOUNT. YOU MUST PROMPTLY UPDATE ALL INFORMATION TO KEEP YOUR BILLING ACCOUNT CURRENT, COMPLETE AND ACCURATE. (c) Payment Method. The terms of your payment will be based on your Payment Method and may be determined by agreements between you and the financial institution, credit card issuer or other provider of your chosen payment method. OlympiadSuccess.com reserves the right at any time to modify or discontinue, temporarily or permanently, the Service (or any part thereof) with or without notice. You agree that OlympiadSuccess.com shall not be liable to you or to any third party for any modification, suspension or discontinuance of the Service. 13. Blocking of IP Addresses. In order to protect the integrity of the Services, OlympiadSuccess.com reserves the right at any time in its sole discretion to block Members from certain IP addresses from accessing the Website. 15. Jurisdiction and Choice of Law; Dispute Resolution. If there is any dispute arising out of the Website and/or the Service, by using the Website and/or Service, you expressly agree that any such dispute shall be governed by the laws of, India and shall be subject to the exclusive jurisdiction of Gurugram courts only. OlympiadSuccess.com prohibits the posting of any information that infringes or violates the copyright rights and/or other intellectual property rights (including rights of privacy and publicity) of any person or entity. (f) the signature of the intellectual property right owner or someone authorized on the owner’s behalf to assert infringement of the right. 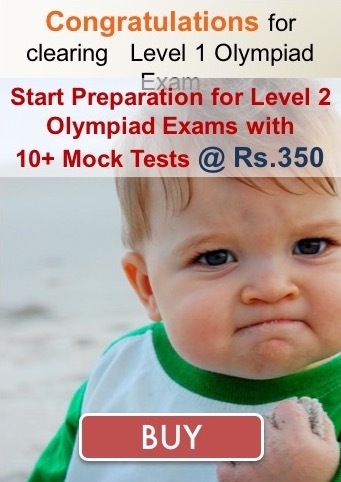 OlympiadSuccess.com will process any notice of alleged infringement which it receives and will take appropriate action as required by the Indian copyright laws. You specifically undertake & agree to indemnify and hold Loyalty Square Analytic Solutions, OlympiadSuccess.com, its subsidiaries, affiliates, officers, agents, and other partners and employees, harmless from any loss, liability, claim, or demand, including attorneys’ fees arising out of or related to your use of the Service and/or Website in violation of this Agreement and/or arising from a breach of applicable Law’s including without limitation of your representations and warranties set forth above. In the event that OlympiadSuccess.com is successful in whole or in part in any action or proceeding related to or arising from this Agreement, you shall be responsible for OlympiadSuccess.com’s attorneys’ fees and costs. This Agreement contains the entire agreement between you and OlympiadSuccess.com regarding the use of the Website and/or the Service and does not create any partnership/agency of any nature whatsoever. If any provision of this Agreement is found to be invalid by any court having competent jurisdiction, the invalidity of such provision shall not affect the validity of the remaining provisions of this Agreement, which shall remain in full force and effect. No waiver of any term of this Agreement shall be deemed a further or continuing waiver of such term or any other term. In addition, OlympiadSuccess.com’s failure to enforce any term of this Agreement shall not be deemed as a waiver of such term or otherwise affect OlympiadSuccess.com’s ability to enforce such term at any point in the future. All OlympiadSuccess.com subscription fees are non-refundable under any circumstances. If you cancel your account at any time, you will not receive any refund. I HAVE READ THIS AGREEMENT AND AGREE TO ALL OF THE PROVISIONS CONTAINED HEREINABOVE.